Although lacking a presence on the manufacturer’s website, Slenderful joins the cadre of diet pills in the market. Slenderful claims it can have it’s users losing weight while at the same time not being over-stimulated. As long as diet and exercise are included, this product claims to be effective. So is it really effective? We decided to find out. 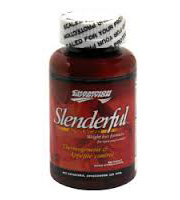 Slenderful is manufactured by Champion Nutrition, which was founded in 1986. Champion Nutrition is known for producing fitness related products that are claimed to be made by medical and science experts. Slenderful can be purchased at third party retailers such as Evitamins.com. Slenderful claims that it can help it’s users rapidly lose weight and do so in a non-overly stimulated fashion. It also claims that it can help keep the weight off. Having no listing on the manufacturer’s website, it is hard to say how exactly Slenderful goes about this. There are no testimonials nor independent reviews on this product to verify it’s claims. Slenderful includes in it a list of 25 ingredients, many of which are amino acids and nutrients that the body needs for proper functioning. 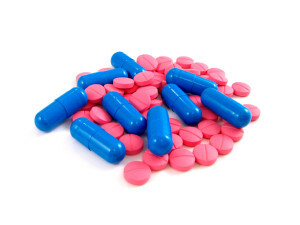 While seeming to be impressive, it has been known that when combining too many ingredients in a diet pill, positive effects may very well become diluted. It should also be noted that there are no measurements given for any one of the ingredients. 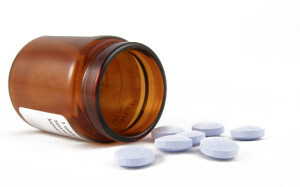 Diet pills on the top 10 list avoid these practices. Guggulipid: Coming from a tree native to India, this has been used to help treat high cholesterol and weight loss. DL-phenylalanine: An amino acid that has been used to help treat alcoholism, depression, chronic pain and vitiligo. Taurine: An amino sulfonic acid that has been used to treat high cholesterol, high blood pressure, cystic fibrosis among others. Gotu kola: Used for various maladies, such as depression, anxiety, fatigue and Alzheimer’s. L-tyrosine: Known to help treat cocaine and alcohol withdrawal, as well as ADD, ADHD, Alzheimers among other maladies. Willow bark: Acts similarly to aspirin and is used to treat muscle pain, headache, gout among others. Country mallow: Contains ephedrine, which is chemically similar to amphetamine and may cause adverse effects in some users. Ipriflavone: Coming from the soy plant, there is some cause for concern because soy is mostly GMO based. L-methionine: An amino acid that helps the body make proteins. Grape fruit extract: Known to be used for obesity and weight loss, this ingredient also helps treat high cholesterol. Myo-inositol: Known to treat depression and nerve pain, as well as high blood pressure and cholesterol. DMAE: Known to help improve mood and memory, this also improves physical preformance. Choline bitartrate: Used by athletes to prevent fatigue. 5-hydroxy L-tryptophan: Also known as 5 HTP, this is known to help treat ailments such as insomnia and depression. Alpha lipoic acid: An antioxidant that is known to treat ailments such as memory loss and diabetes. Uva ursi: Used to help treat inflammation, as well as bladder and kidney ailments. Vanadyl nicotinate: A mineral that is used to treat heart problems, as well as high cholesterol and low blood sugar. Capiscum powder: Coming from a chili pepper, this ingredient is known to help with various gastrointestinal maladies. Yohimbe: Used for blood pressure problems, as well as sexual dysfunctions. Has been known to be used for weight loss as well. Ginger: Known to help with digestive issues, such as nausea, upset stomach, gas and diarrhea. Sea kelp: Also known as bladderwrack this has been used for thyroid issues as well as digestive problems. Diindolylmethane: Found in vegetables such as cabbage and brussel sprouts, this ingredient is known to help prevent cancer. Dizziness, light headedness and rapid pulse. It should also be noted that if these or any other symptoms worsen, it is instructed to tell a doctor right away. The makers of this product recommend that their users include diet and exercise into their regimen while taking Slenderful. This is unlike scam diet pills that claim that all you need to do is take a pill to see weight loss. Just because a product is filled with many ingredients, that doesn’t make it effective. In fact what may happen is that the effects of any one ingredient may become diluted. And with no given measurements as to how much of each ingredient is in this product, this may very well be the case with this product. There is also some concern as to some of the ingredients that are included. Country willow contains ephedrine, which is similar to amphetamine and may cause adverse effects in some users. Ipriflavone is made of soy, which is known to be a GMO. Lastly there is no money-back guarantee with this product, so if you don’t like what you got, sorry but you are stuck with the product. When the makers of the product don’t even include it on their own official website, you know there may be a problem with this product. Only verifiable to exist by third party retailers, this product is simply not able to live up to it’s claims. Without an official website and not even being listed on it’s manufacturer’s website, Slenderful feels more like an idea of a product. It can make all the claims it wants about how effective it is in helping people lose weight, but in the end there is simply no evidence to support these claims. Better diet pills are the opposite of this. While this product may sound like a good idea, in the end that’s all it is; a good sounding idea.